Dr. Aman Dua, Co-Founder & Managing Director at AK Clinics has over 14 years of clinical and teaching experience in the fields of Dermatology and Hair Transplant. 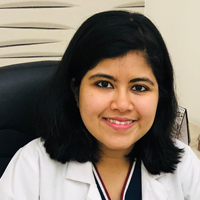 Clinically, she has practiced aesthetic dermatology as a Consultant at Dayanand Medical Hospital, where she also served as the Assistant Professor & Skin Specialist for a number of years. Over the course of her career, she has garnered acclaim as a facial aesthetics expert, with special interest in non-surgical acne scar removal. 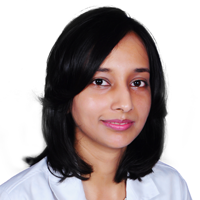 She practices as a Chief Dermatologist at South Delhi & Ludhiana Clinics. She has been a pillar of excellence at AK Clinics and as the Chief Dermatologist & Consultant Hair Transplant Surgeon at AK Clinics, she has performed a record number of successful non-surgical dermatological procedures and hair transplants since 2008. She is one of the most sought after teachers and has also regularly served as a faculty and speaker at national conferences on Aesthetic Dermatology and Hair Transplant Surgery. 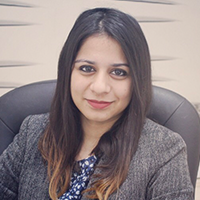 Indeed she is acclaimed by many as one of the best dermatologist in Delhi NCR and Punjab Region for treatment of skin problems and hair loss issues. Her significant achievements include serving as host of ISHRS Regional Hair Transplant Workshop, which was held in India for the first time in 2015. 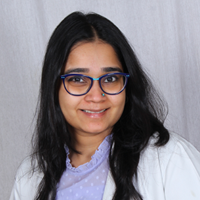 She is a Founder member and on the Board of Governors of Association of Hair Restoration Surgeons India (AHRS India) as well as the Founder Editor for the Journal of AHRS India. She holds the venerated position of being the first Indian Female FUE Hair Transplant Surgeon, as well as the first Female Indian doctor to a present research paper on Hair Transplant at an international conference. In the past, she has also served as the Finance Secretary of NW Zone of Indian Association of Dermatologists, Venereologists and Leprologists. Dr. Aman has also received numerous awards and accolades in various fields, including winning gold medals in Pharmacology and Microbiology. She has co-authored numerous books and research papers which have received national and international acclaim. She is also an esteemed member of several globally recognised organisations, viz., International Society of Hair Restoration Surgeons, Association of Hair Restoration Surgeons India, Association of Cutaneous Surgeons of India, Indian Association of Dermatologists, Venereologists & Leprologists, People’s Health Organization (India) and the Indian Medical Association. The patient satisfaction & results is the main criteria for the success of a surgeon. But equally important is the recognition from the very own medical fraternity. When a surgeon’s work is evaluated by critics from the fraternity, the surgeon works on further finesse. This again benefits the patients. Former Finance Secretary Former Finance Secretary – NW Zone of Indian Association of Dermatologists, Venerologist and Leprologist. 1st Female Indian doctor to present paper on Hair Transplant in international conference. 1st Indian Female FUE Hair Transplant Surgeon. Participation in 24 conferences and presented papers in them. The youngest, sought after & respected teacher in FUE Hair Transplant in India. 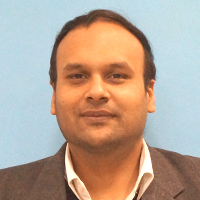 Program Director of ISHRS Regional Workshop 2015 at New Delhi, 1st of its kind in India. Faculty for FUE Hair Transplant in most ISHRS Conferences; to be held at Kualalumpur in 2014. REGULAR Faculty & Course Director for FUE Hair Transplant at DAAS Summit, Delhi Aesthetics, Hair India, Haircon – all conferences in India attended by 1000s of doctors. The Asian Association of Hair Restoration Surgeons (AAHRS) is a non-profit voluntary organization of hair restoration doctors who practices for Asian patients. Objectives of AHRS-India is to act for the benefit of the public to establish specialty standards and to examine surgeons' skill, knowledge and aesthetic judgment in the field of hair restoration. Her dedication to the improvement of the technique to benefit the entire mankind motivates him to create & share every day. There are only a selected few hair transplant surgeons who are taken in the premier league and to be a fellow means that you are allowed to use the abbreviation, FISHRS, an honour that is not given to anyone till he has earned it. However, Dr. Aman Dua has entered this list of the elite doctors. What You Didn’t Know Botox Could Do!